Zamfara, 6 November, 2018 - The World Health Organization (WHO) is supporting health authorities in Zamfara with the necessary preparation for the implementation of the first Oral Cholera Vaccination (OCV) campaigns. Similar activity and assistance will be provided to Katsina and Kebbi States. With financial support from GAVI, the Vaccine Alliance, these vaccination campaigns will directly protect 808,795 inhabitants of the three states who are aged one year and above from cholera. The campaigns will be implemented in two rounds for each state (14-18 November 2018 for the 1st round) and (11-16 December 2018 for the 2nd round). The intervention will complement efforts from the Federal Government and States in responding to the ongoing cholera outbreak and facilitate the prevention and control of cholera in Nigeria in the long term. Nigeria is experiencing its largest cholera outbreak in recent years with over 42,466 suspected cases including 830 deaths reported from 01 January to 29 October 2018 in 20 states. The numbers sharply contrast 18,243 suspected cases reported in the country over the last three years (2015- 2017). The Country Office in Nigeria and the WHO Global Task Force on Cholera Control (GTFCC) are actively supporting the Federal Government and States’ response to the outbreak. The interventions include a comprehensive risk assessment, which led to ear-marking of 105 hotspot local government areas (LGAs) to be targeted for interventions in the medium term. 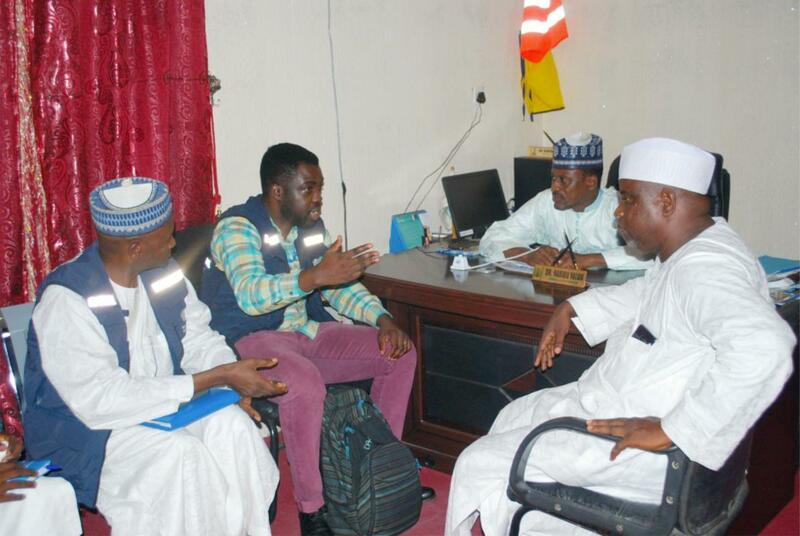 As part of the support, a WHO technical assistance mission arrived Zamfara state on 25 October 2018 where 8,181 cases including 135 deaths were reported. The objective of the mission is to support the development of a micro plan for the impending campaign together with key actors at the State and National levels, including the National Primary Health Care Development Agency. The mission is part of a massive undertaking to strengthen capacities of Nigeria to protect its population against Cholera. In partnership with the Nigeria Centre for Disease Prevention and Control (NCDC), WHO Country Office and the WHO GTFCC are working with partners in developing a 5-year multi-sectoral plan aimed at reducing the burden of cholera in the country nation-wide, with particular focus on these hotspot areas. This will be followed by similar assistance and support to health authorities in Katsina and Kebbi. In addition to this initiative, WHO with the financial assistance from the UN’s Central Emergency Response Fund (CERF) is providing immediate life-saving assistance to the individuals and communities affected by the current outbreak and complement the Federal and States efforts.